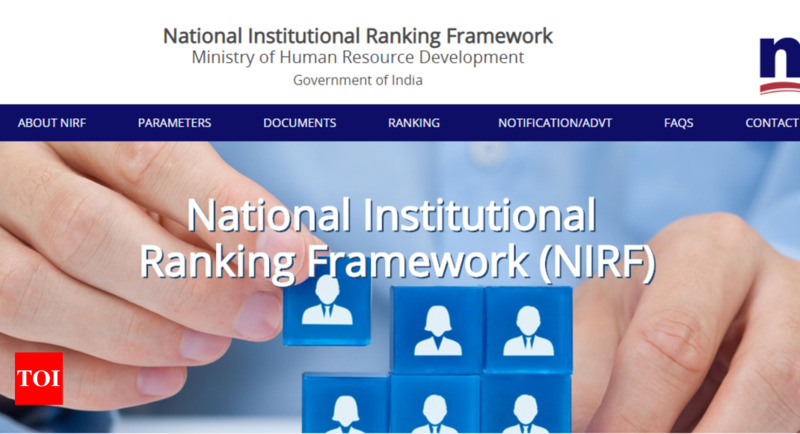 VARANASI: Indian Institute of Technology, Banaras Hindu University (IIT-BHU) improved its position from 19 to 11 in the engineering category of the 4th edition of National Institutional Ranking Framework (NIRF India Rankings 2019), declared by President Ram Nath Kovind in New Delhi on Monday. “We have gone up nine ranks this year by achieving the 11th position. We aim to see IIT-BHU in top-10 in NIRF ranking in engineering category next year,” said IIT-BHU director Prof. Pramod Kumar Jain. For further improvement in ranking, more emphasis would be given to knowledge update, research, development and innovation, he added. He said that the institute scored 68.61 points in teaching, learning and resource (TLR), 45.63 points in research, professional practice and collaborative performance (RPC) and 77.36 points in graduation outcome (GO). The total number of outreach & inclusivity (OI) is 53.16. Compared to previous year, all categories have improved this year. “It is our objective to take care of four important factors in ranking and achieve better goals. The academic level would be fully updated so that new methods of teaching and learning are implemented. Emphasis would be on research, publication and innovation while sponsored resources and consulting projects would be promoted. This will help us further upgrade our infrastructure. Also, we will focus on startups so that students could become job-oriented,” he said.